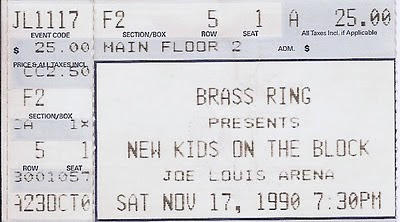 ...was exactly 20 years ago tonight at Joe Louis Arena in Detroit. 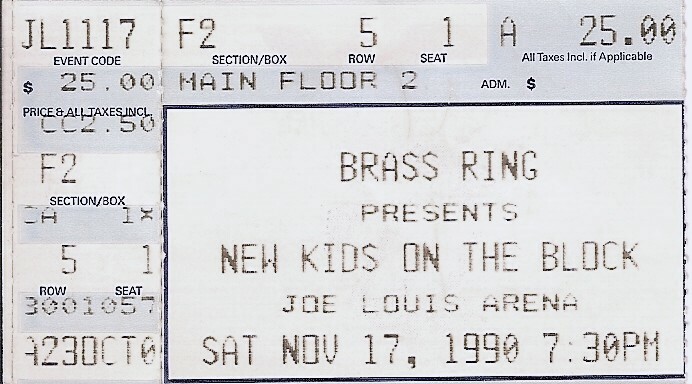 I was an extraordinary unique enthusiastic awkward 9-year-old, and my fifth row seat was the closest I'd ever come to the early-90s sexiness that was New Kids on the Block (official fanclub pillowcase and size-of-my-head jean jacket pin notwithstanding). I had to wait another 10 years until my next concert (Phish in Cincinnati, September 21. I'm not sure what I was doing there either, clear-eyed as I was), but I think my roaring 20s have more than made up for that lull.